With the changing times and rising crime rates, it is better to be prepared all the time. You may find it awkward, but self defense is a tactic that you would need at every step of your living moment. Survival is an instinct that all living beings crave for and for that you may need to follow primitive methods to keep up with the changing trends of the society. You may need concealable weapons for protection and we must tell you that people used to wear high boots to keep their knives hidden centuries ago for the same. Today, you can easily find boots that have special pockets for you to keep your knife covered. 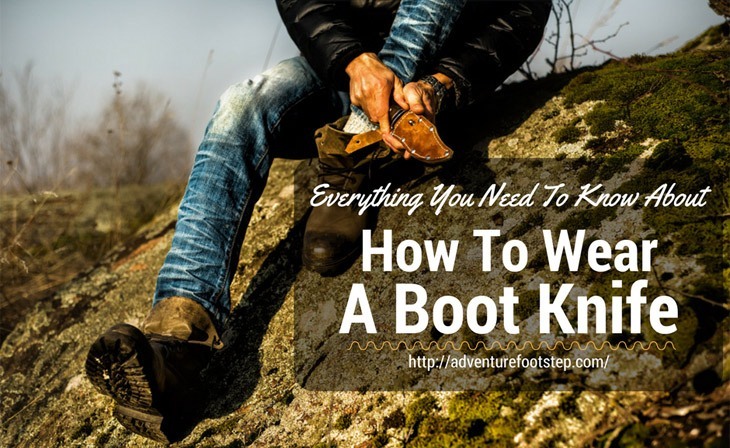 In fact, we have dedicated this post to answer a basic question in regards to this that of How to wear a Boot Knife in the best possible ways. We request you to read it till the end to comprehend how it can be done. How To Choose The Knife? Why Do You Need A Boot Knife? The first thing that we would like to discuss in this regards is to know about what things would you need to wear a boot knife. We have already made a list of the items and we need you to read through them carefully. Knife – Make sure that it is not a long one and has a strong blade. We know that there is no one knife that fits all purposes, so we will discuss how to choose in details later in this post. However, keep one thing in mind that knife should fit into the boot properly. Sheath – In simple words, this sheath will cover the knife and keep it intact. You certainly don’t want to cut yourself while walking and this why you need a sheath to keep it safely held. String – Speaking of knife sheath brings us to this point that it should be kept secured into your shoe. That means, it should not be moving or irritating at all while walking. Boot – You must find the most comfortable pair shoes to serve your purpose. It should be long enough to hide the knife and you must avoid small boots as you don’t want the knife to touch the ground otherwise. There are no written rules for the best knife and you need to find the one that suits your requirement. If you are a police man, you may need something different and again if you are a hunter or camper then your need will differ to a great extent. So, it will be very unfair to tell you what you should get, but what we can share are a few metrics that you can keep in mind to choose the best knife for yourself. This segment will explain you How to wear a Boot Knife in a step by step process. Learn it with care. Into The Sheath – Now, that you have selected a knife, place it into the sheath. This is a precious as well as reliable piece of equipment that keeps the knife covered and secured at all times. Additionally, sheath protects you from getting injured while walking or riding with a boot knife. Sliding The Knife – This is the most important part of this procedure and you must do it with care. You must find your stronger side and accordingly slide the knife into your boot. What this means is that you should tie the knife to a side you are comfortable with, because otherwise, it may be difficult and even dangerous to access it. For example, if you are a right handed person, then you must tie to your right boot for that added comfort. In fact, when in distress you want to take out the knife quick and safe. So, tie it to the side you are easy with and feel the difference. Tie Your Sheath – Pragmatically speaking, you must tie the sheath to your boot. This suggests that you must tie it to your calf to keep it secured and accessible while in need. Tie it with a string or even a shoelace can do the trick for you. Make sure that you wrap it for 3 times to your boot and then tie the final end to your calf. Wondering what this is noise all about a boot knife? Why do you need it in the first place? To be precise, think of the people who would need a boot knife, like security personnel, survivalists, campers, hunters or even riders. These people often go into places that are secluded and lonely. They may come across situations that may call for defensive sudden attack. 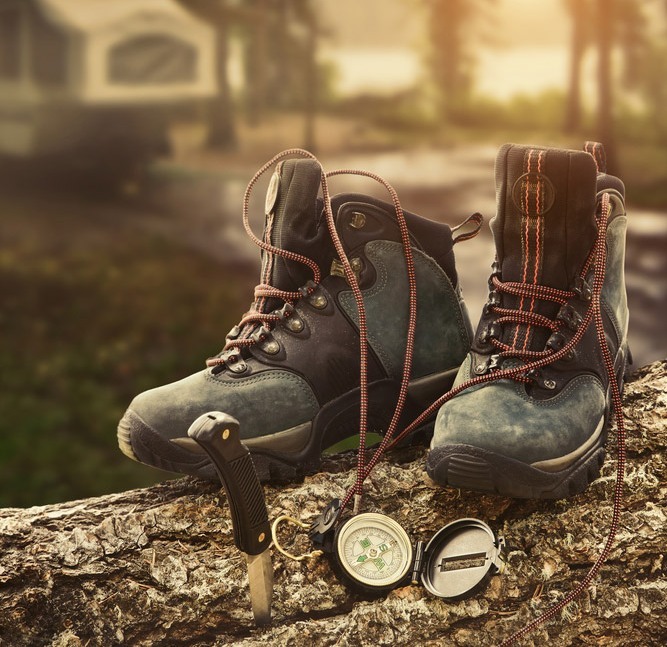 A boot knife comes handy in a lot more ways than this, as even campers may need it to cut through meat while cooking or cutting vegetables. Again, think of the horseback rider and bicycle riders that may need to cut vines. In a nutshell, it can be stated that a boot knife is a survivalist weapon that is must for people doing unconventional things. Related: If you are a hunter and using ar15, I highly recommend the best ar 15 scope for the money, it is useful. The first thing that we need to explain here is to make sure that the length of the knife is not too short to get lost in your body. Who may need a boot knife? Anyone that wants to protect them may need one, then there are hunters, horseback riders, cyclists, police and military may need to keep one handy. Point is, wearing a boot knife is like keeping it safe and if you ever wanted to know How to wear a Boot Knife; then we have provided all the answers here. You can keep coming back to this post and read it with care if you are serious and chances are high that are as you or else you would not be reading this. Just prepare yourself for the worst if your profession calls for it with a boot knife. Yes, but make sure of one thing that you are aware of knife laws in a state you are about to carry it. Just because we want you to stay out of trouble, we ask you to do this. Read more: How To Cut Carbon Arrows?